Another sketch from a photo. This time of the “Little Odessa” (Brighton Beach) area in NYC. 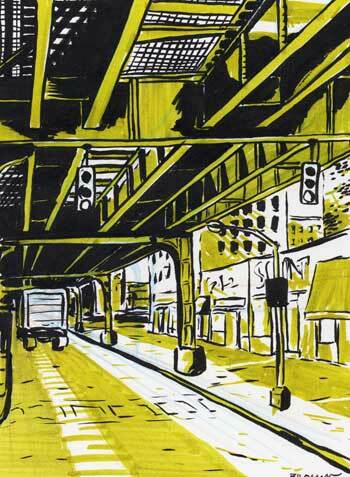 This one was done with the pocket brush pen and then colored with a Pitt brush pen.